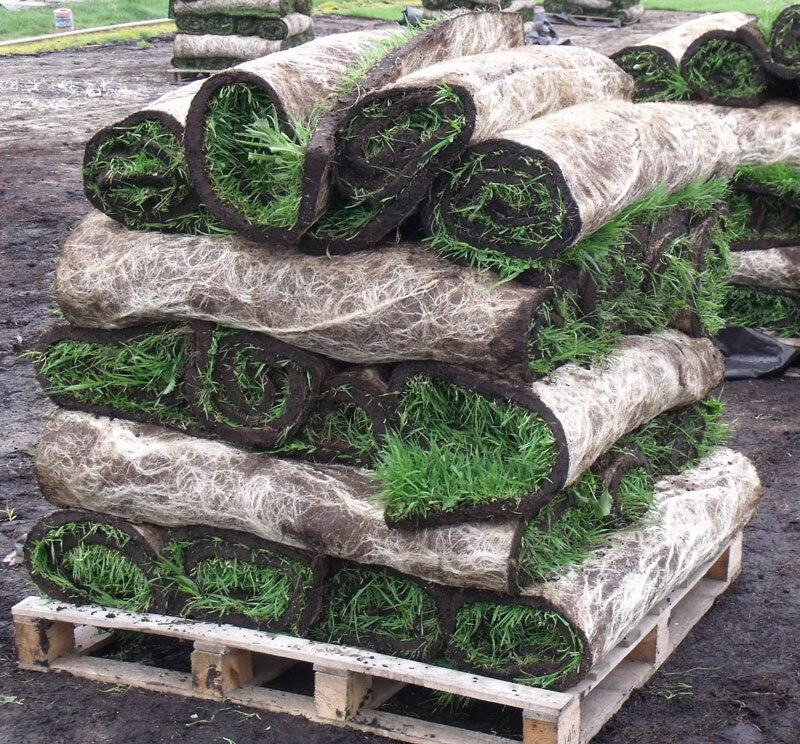 Harrowden Turf are continually working to improve their products. This year it’s the turn of Cottage Garden Meadowmat. At Landscape 2017 Harrowden Turf Ltd announced some big changes to Cottage Garden Meadowmat. Here’s a brief summary of what to expect from the new-look product. All five Meadowmat varieties contain a proportion of grass. It’s essential to the growing and handling of the product. It also creates 12 months ground cover and wildlife interest. However, customers told us that they wanted to have the choice of a more colourful and flower-rich mix of plants.And that meant less grass. Our Production Manager, Robert Allen is continually thinking up new ideas and trialling different combinations of flowers and grasses. It’s taken him just over 12 months of experimenting to come up with this new and improved seedmix. And we think he’s done incredibly well. Robert has introduced some strong colours into the new-look Cottage Garden Meadowmat. He has a good relationship with his seed supplier and between them they have sourced plants that are closely related to native species but are more vibrant. 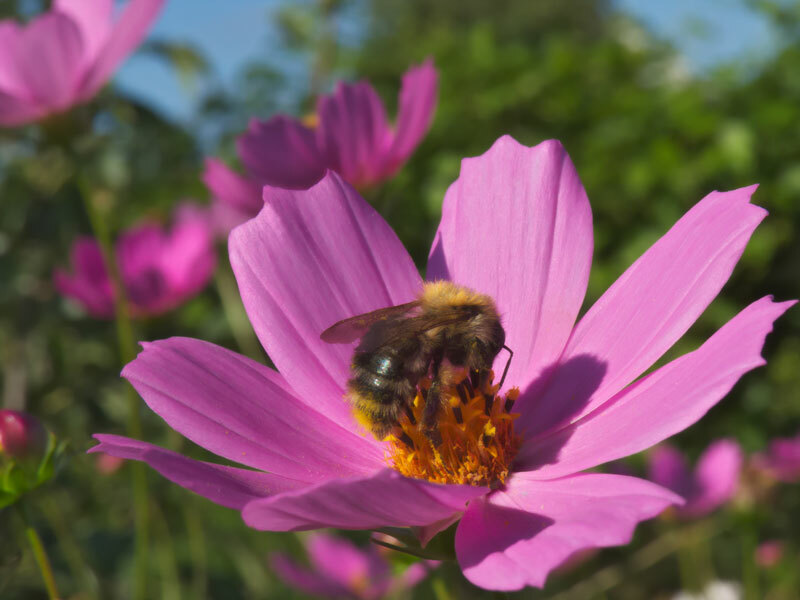 They’ve also brought in some colourful annuals and lots of cottage garden favourites such as the aquilegia for example and of course, cosmos. What is Cottage Garden Meadowmat? Cottage Garden is just one in a family of five different Meadowmat varieties. Each one is a pre-grown mat of mixed flowering plants and grasses that are laid like turf. When your wild flower mat is delivered to your door, all you have to do is unroll it onto prepared ground. 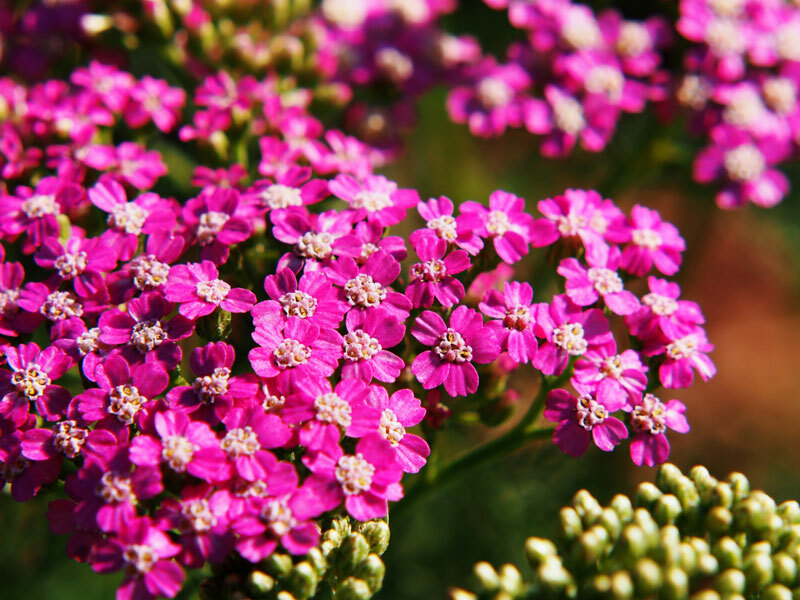 Keep it watered and depending on the time of year you could have flowers within weeks. Once established Meadowmat is biodiverse and easy to care for. It needs just one cut per year and if installed correctly offers several weeks of colour and interest. The new look Cottage Garden Meadowmat contains 32 species of flowering plants and grasses. Just like an English Country Garden it contains lots of old fashioned pollinator friendly plants. The overall effect is of borders stuffed with colour and interest from spring through to autumn. I saw it at the Landscape Show in Battersea and I love it! 20% are close relatives of UK wild flowers. Most of the plants are grown from UK sourced seed. The new seedmix contains just 5% grass seed by weight (the previous mix contained 20%) which means more flowers and hopefully more beneficial insects.